Heritage Resorts in Ranthambore Sawai Madhopur offers to the guests the best of comfort and services along with a vintage flavor of Rajasthan royalty. The Heritage Resorts in Sawai Madhopur offers you a luxury retreat in the age old palatial mansions which have still preserved their glory and grandeur. Enjoy this vacation as a royal retreat in the Heritage Resorts in Ranthambore Sawai Madhopur. Sawai Madhopur is the gateway to the Ranthambore Tiger Reserve. Nestled amidst the rugged greenery of the Aravalli hills, Ranthambore in Sawai Madhopur is a famous tiger reserve along with being a national park and is one of the top ten wildlife destinations in India. A hunting retreat of the erstwhile Maharajas, it is now an important wildlife sanctuary of India. 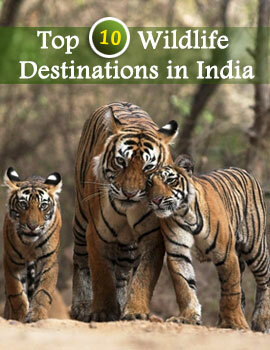 Rich variety of flora and fauna and abundance of tigers makes it a popular tourist attraction of the wildlife buffs. Plan a trip to Ranthambore in Sawai Madhopur and explore your oneness with nature amidst the green forests. Nearest Railway Station :- Sawai Madhopur Railway Station is the closest railhead.